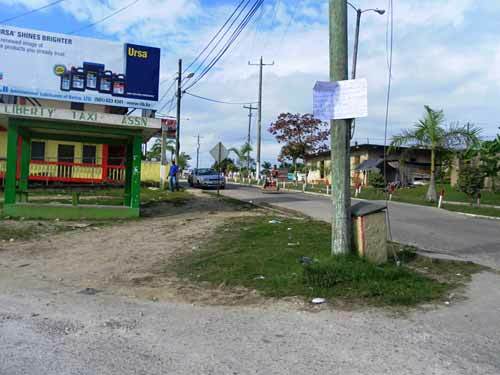 It appears there's unrest within the residents of Benque Viejo, residents not happy with their Minister with corruption issues fresh on their minds. 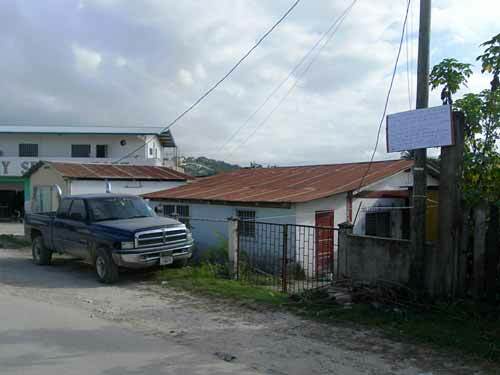 The PM's comments hit home for many in Benque. 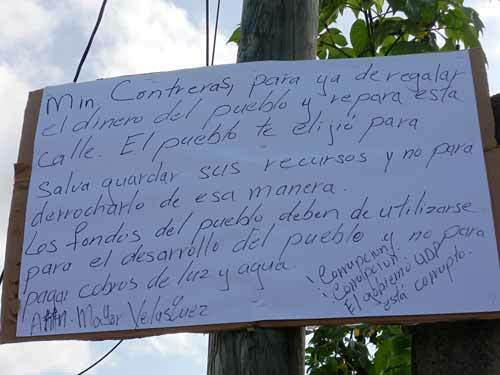 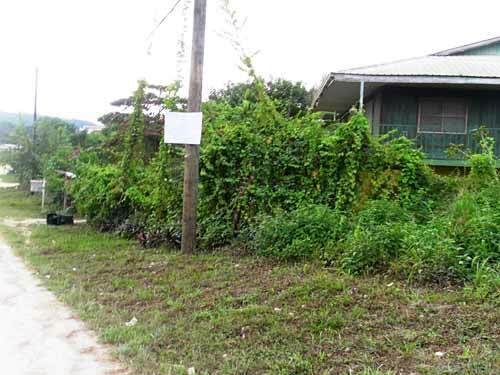 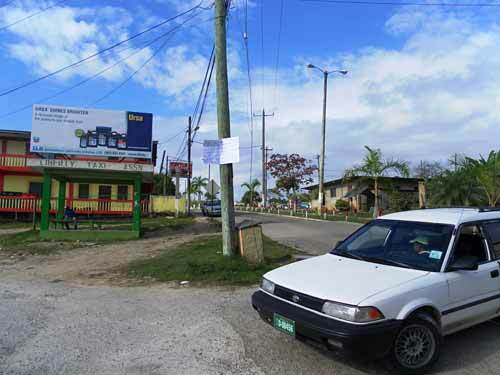 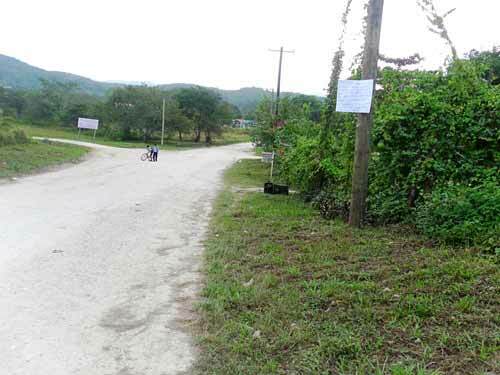 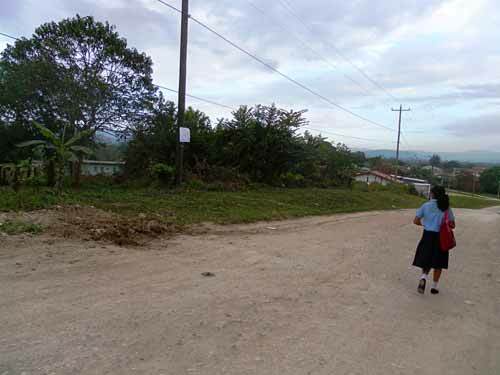 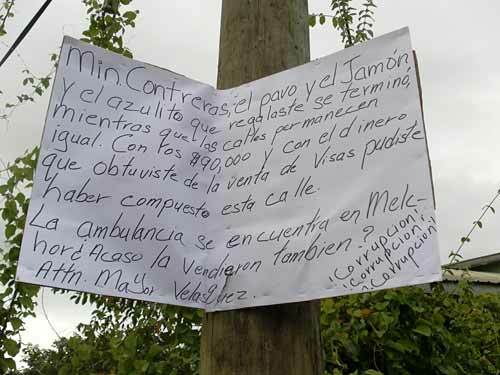 Last night a group of residents posted several placards around the streets of Benque, expressing their discontentment with their area Minister. 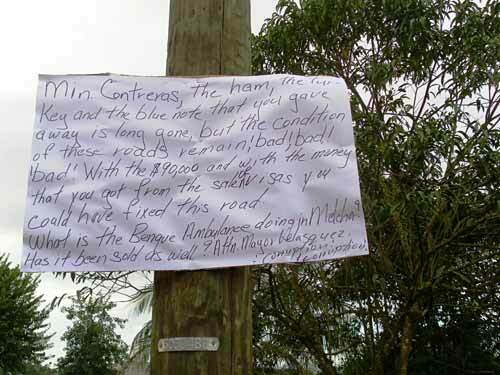 The police were seen this morning 7:30am taking pictures of the placard's but didn't take them down? 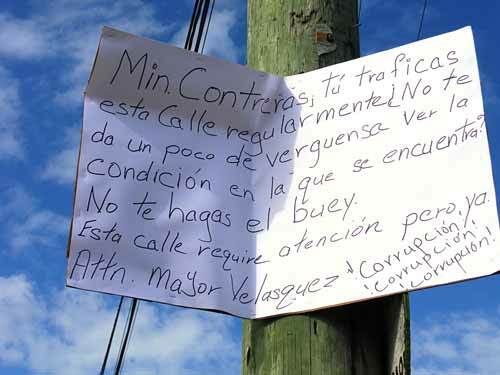 Do they agree? 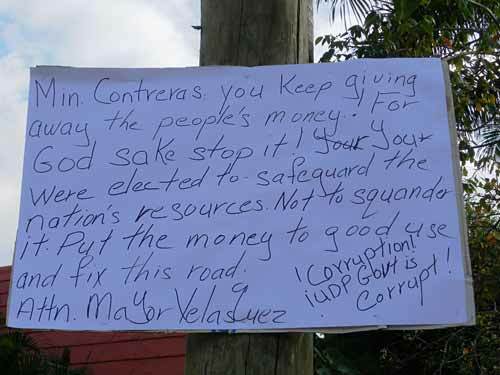 It's now assumed the Mayor will send town board workers to take them down? 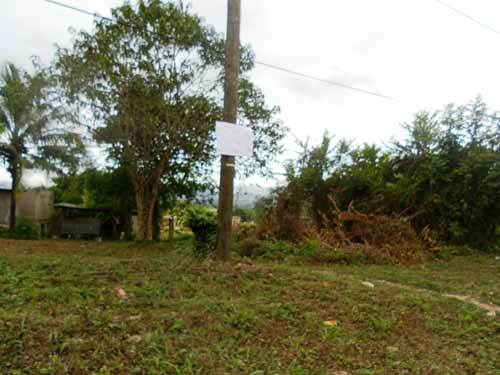 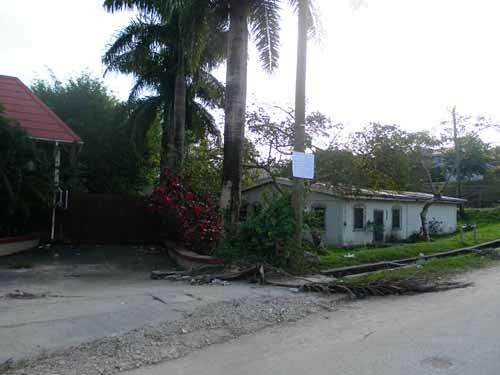 Yes confirmed by 10:00am the rights of residents in Benque to express their opinion were torn down by town board workers.